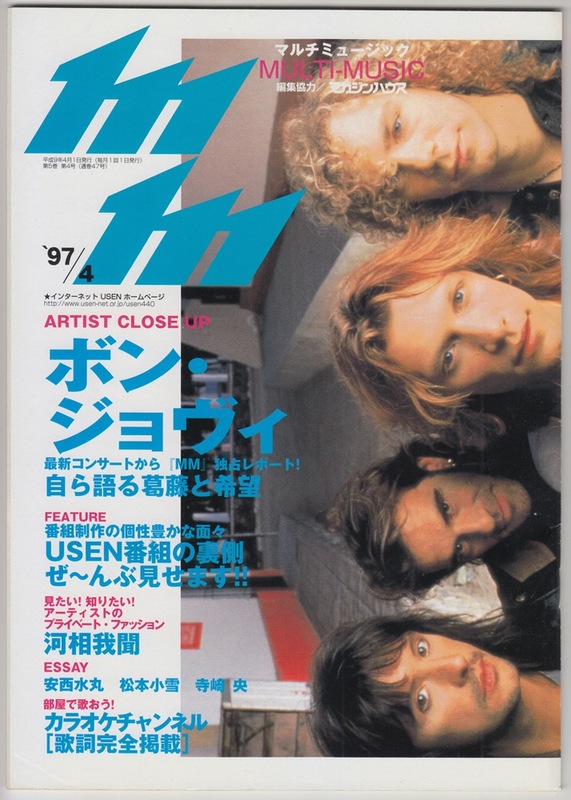 USEN information magazine offering 24 hours of music on various music channels, multi-music April 1997 issue. 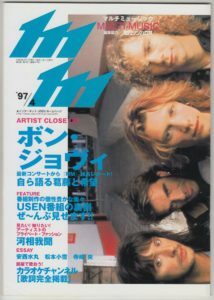 BON JOVI has been taken up as ARTIST CLOSE UP, and it covers the front cover and top articles. In a crosstalk article covering color 8 pages, a report consisting of MASA ITO at the end of 1996 Christmas Charity Show and the interview conducted at the home of JON BON JOVI the following day is also posted. 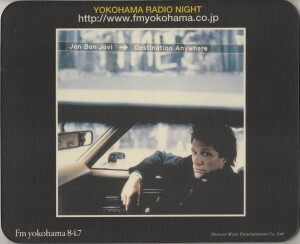 Mouse pad was produced by FM Yokohama during the 1997 Jon Bon Jovi’s solo album DESTINATION ANYWHERE promotion.